Was a moody morning in Taupō yesterday. Snapped this photo with my cellphone while on a bike ride with my family. 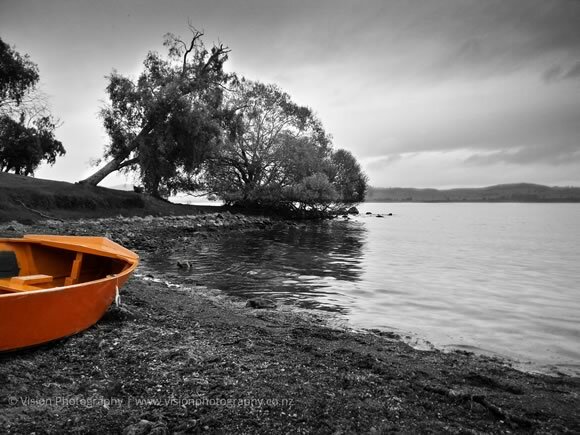 I know that selective colouring of photos is not everyone's 'cup of tea' but this orange rowboat was screaming out for it.